Since its inception in March 2017, Student Enrichment Services’ One Form program has been used by hundreds of students to defray the cost of attending on-campus events and access financial resources. The program, spearheaded by SES Director Kourtney Cockrell, aims to make the University environment more accessible for low-income students by streamlining and centralizing funding opportunities in a single portal — an application which students only have to fill out once. Cockrell said One Form received 2,040 distinct applications for financial support last year, and over $330,000 was awarded to students through the program. At any moment, One Form hosts about 25 different opportunities that aim to support students — ranging from funding opportunities for internships and scholarships for campus events to physical resources in the form of winter gear and clothing. Just last week, some students used One Form to apply for funding to attend a comedy show hosted by A&O Productions featuring Saturday Night Live cast member Pete Davidson. Cockrell said it was her goal to converge the bounty of opportunities offered by NU into one easy-to-navigate portal. Weinberg first-year Alexander Redding said he appreciated the simplicity of One Form’s setup. On the website, students can see a list of the different funding opportunities available. From there, they choose programs to apply to, Redding said. Cockrell said she worked hard to make One Form’s platform as efficient as possible, modeling it after The Common Application, a standardized portal for college applications. 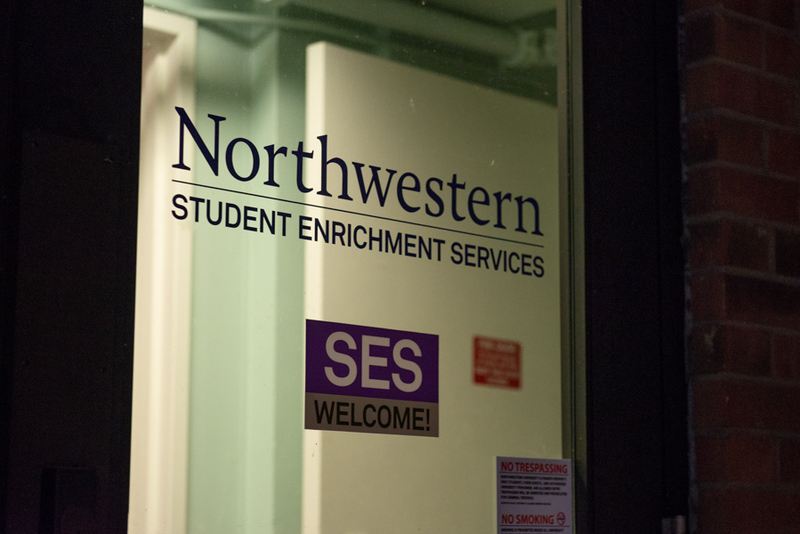 After inputting their basic financial information, Cockrell said students are essentially ready to apply to every funding opportunity offered through SES — though some programs require students to complete a brief set of additional supplemental questions. The goal is to connect students to as many opportunities as possible in the least amount of time. Weinberg first-year Adoria Randolph said she used One Form to pay for therapy and doctors appointments. She said she appreciated the variety of resources offered by One Form, including scholarship opportunities for students struggling with costs associated with Greek life and the SES SEEN Fund, which covers costs associated with emergencies and essential needs — like medical support and urgent flights home. Cockrell said she hopes that, through One Form, students feel less pressured to rehash “their financial narrative.” One Form has been met with positive feedback, with students routinely viewing it as a “gamechanger” in their ability to participate in the co-curricular experience, Cockrell said. SES has tracked data on One Form’s reach — and so far, it has been an incredible success. According to an impact study conducted by SES last year, 98 percent of student survey respondents either strongly or somewhat agreed that they would recommend One Form to their peers.